OLD PARKED CARS. 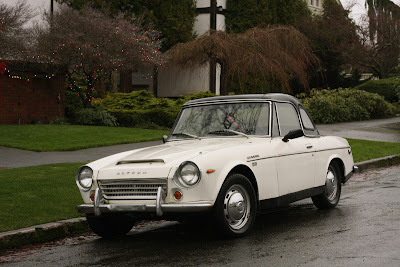 : 1968 Datsun Fairlady 1600 Roadster. 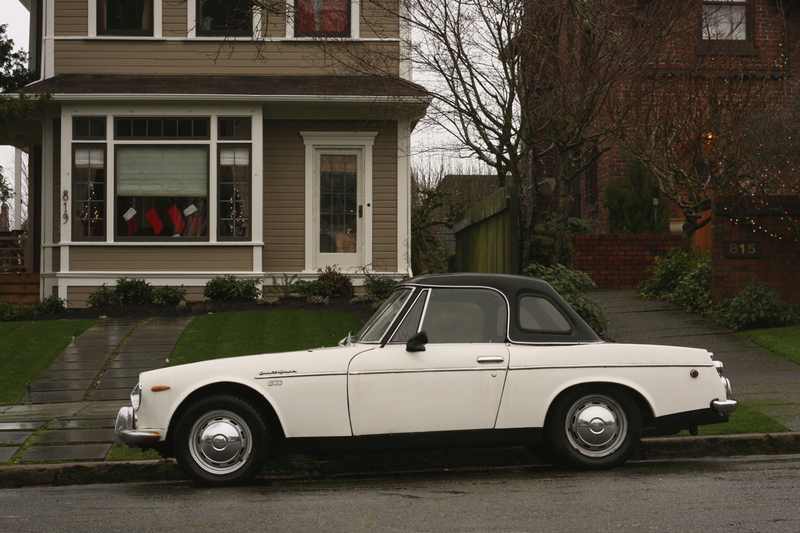 1968 Datsun Fairlady 1600 Roadster. Hey Tony, would you mind changing the Firebird to '68? Beautiful car; nice and stock, just the way I like it. For some reason, the mobile version of the blog isn't coming up on my ipod, only the desktop. Not a huge problem, but it's harder to navigate and loads slowly. Do you guys know why this might be happening? beautifull machine but also a death trap,i have lost one of my closest friends in one of these. People still put clubs on their steering wheels? Normally the Datsun 1600 with left hand steering was simply called the Datsun 1600 in North America. 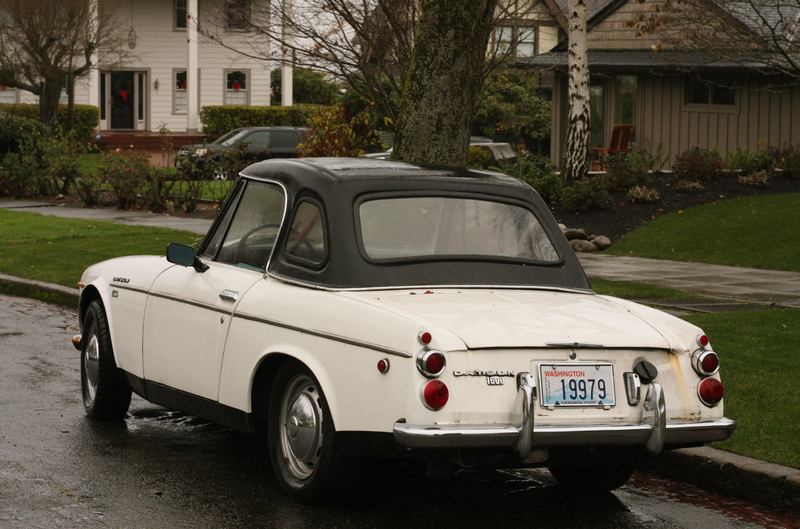 The home version or right hand steering was marked as the Fairlady. Why? Who knows ... Nissan has never answered that question. Many at the time thought that the feminine would not have worked in the US. Yes people still put those club theft devices on the steering wheel because the are effective on older vehicles which never came with any good theft protection. The electronic ignition or locks on older cars are simple to defeat. Trying to remove a club takes some time without destroying the steering wheel. Plus many thieves are just trying to steal a nice steering wheel on a classic. Very clean in white with those dog dishes, love it.